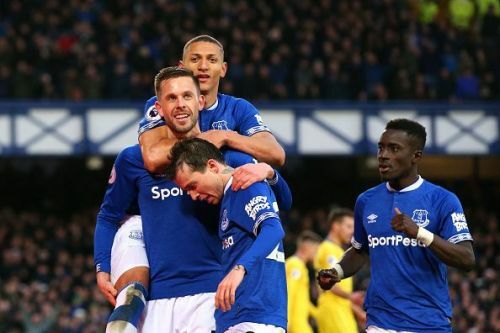 Everton recorded their first Premier League victory over a top-six side since January 2017, after an inspired second-half showing against Chelsea. Goals from Richarlison and Gylfi Sigurdsson sealed all three points for Marco Silva's men, confining the Blues to their seventh defeat of 2019. The manner of this latest loss will not sit well with Maurizio Sarri, after a first-half where they dominated and could've been 3-0 up. Gonzalo Higuain and Pedro both squandered promising chances, while Eden Hazard hit the post and the hosts had goalkeeper Jordan Pickford to thank for keeping the scores level at half-time with some important saves too. Now I know what you're thinking, where is Marcos Alonso on this list? 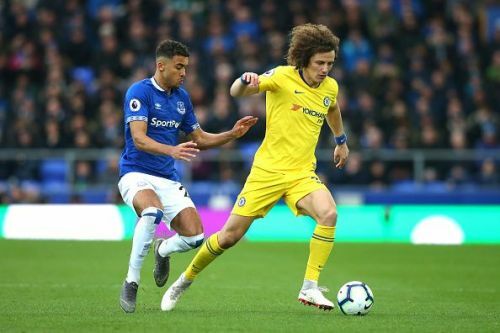 Despite giving away the penalty and enduring a difficult battle with Richarlison down his side in the second-half, the Spaniard completed nine tackles and four clearances. David Luiz on the other hand? No tackles, just one interception and clearance in 90 minutes. He failed to fill his teammates with confidence and really needed to, once the hosts got themselves going in the attacking third after the break. He has struggled for consistency this term and again, this display showed why he's just not good enough at this level anymore. No aerial duels won, bullied by Dominic Calvert-Lewin in the air and he simply wilted against a recharged Everton frontline.